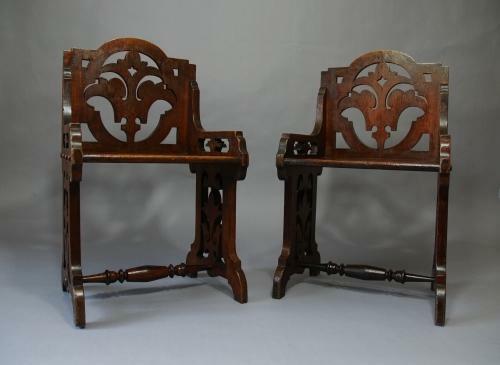 A pair of late 19thc Continental oak Gothic choir chairs with a dark brown varnished finish. The back splat being pierced with a Gothic design & leading to pierced arms and side supports. The base also pierced, leading to a scroll foot and turned stretcher.